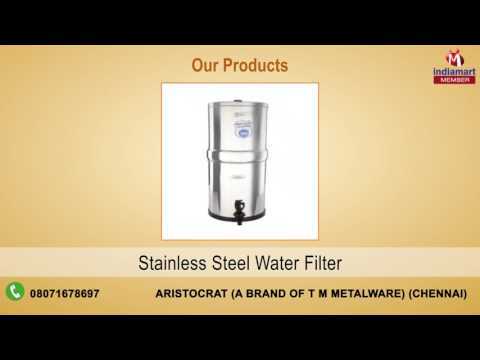 Established in 2007, Aristocrat (A Brand Of T M Metalware) has for many years been recognized at the forefront in the industry by Manufacturing and wholesaling sturdy Stainless Steel Utensils. We fabricate an extensive product line of high quality kitchen tools including, Stainless Steel Hot Pot, Stainless Steel Water Filter, and Stainless Steel Tea Can. Our catered product range raises the bar on both quality and function, as these utensils are crafted out of high grade raw material to serve the promise of longevity and durability.